Reliance Jio yesterday announced the web version of its content platform- JioCinema. Users can now access JioCinema from any browser by heading over to https://www.jiocinema.com/. The entire content available in the JioCinema application is available in the web version as well. Talking about the interface of the JioCinema web version, it’s almost similar to the mobile version with the same slider at the top displaying the popular content available. As said earlier, the entire web version of JioCinema has same features as the JioCinema application, including the Jio account login. Yes, you heard it right. Only users with a Jio 4G SIM card can watch the content from JioCinema web version as it asks for login at the start. If you’re not a Jio user, you can get a Jio 4G SIM card by heading over to Jio.com. Sadly, some of the features such as offline mode are absent in the web version, which is an expected thing. For the unaware, JioCinema application offers an offline mode with which you can download your favourite content and watch them later without the access to mobile data. The JioCinema web version has four categories- Movies, TV, Music, and Clips. In the Movies category, all the popular movies from various content services are available. In the TV category, you can watch some of the popular TV Shows from various channels like Colors, Zee & Sony. Users can watch the trending clips episodes of Big Boss 11 and Splitsvilla X. In the Music department, you can watch all the latest music videos in Hindi, English, and several regional languages. JioCinema has the best music videos from AR Rahman and even Coke Studio MTV Unplugged Season 6. Lastly, we have the Clips category under which the trailers and movie clips of the upcoming movies are available. With the JioCinema web version, Reliance Jio is making its video content available for everyone and even removing the hassle of downloading the application. Jio need to start their own comedy channels in all languages in Jio TV ..they can get additional income from advertisements.. Even they can tie up with cable operators to broadcast their local channels any where in India. Jio can charge for this from cable operators and simultaneously cable operators can earn more revenue from advertisements..because more viewers from all part of country..
Jio TV web version is mandatory for their extra income.. 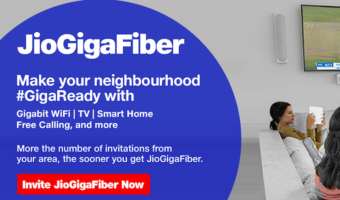 So can we infer from this that jio broadband is just around the corner?